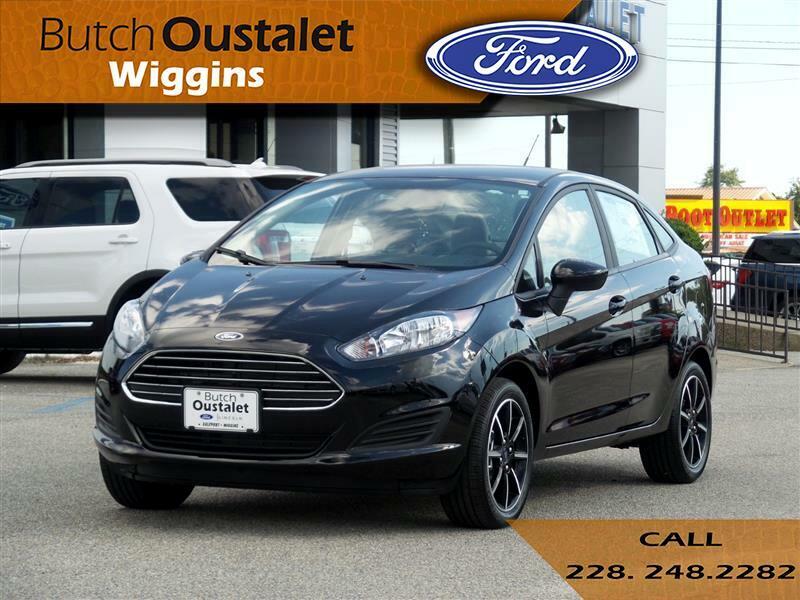 New 2018 Ford Fiesta SE for Sale in Wiggins MS 39577 Butch Oustalet INC. The 2018 Ford Fiesta gets you in on the fun of driving. It’s the small car that’s big on value, with a choice of two body styles – sedan and hatch – to match your lifestyle needs. The sedan has a trunk with 12.8 cu. ft. of capacity and 60/40 split seats that can be folded to accommodate long items. The versatile hatch model with its wider opening handles large cargo, with its 14.9 cu. ft. of rear space and 60/40 split rear seat backs, increasing space to 25.4 cu. ft. when lowered. It’s what’s on the inside that counts, with an intuitive center. The Fiesta offers two engines to suit your style of driving: the responsive 1.6L Ti-VCT I-4 and the high-output turbocharged and direct-injected 1.6L Ti-VCT EcoBoost I-4. With Eruo-inspired suspension, electric power-assisted steering and electronic stability control, plus manual or automatic transmission, there’s no stopping this feisty car’s power. The Fiesta is filled with savvy tech, so you can move forward feeling cool, clever and confident. A lot of forward thinking went into the design of the fun-to-drive Fiesta, with features from the rear-view camera and standard hill start assist technology to the push-button start and standard MyKey, help owners drive more responsibly.